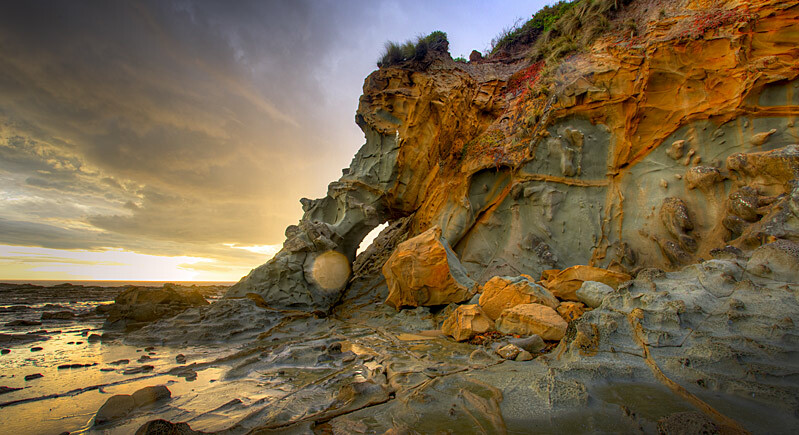 I shot the beach cliffs near Kilcunda where the Bourne Creek meets the sea and later realized that this rock formation looked remarkably like an elephant. I have made a few large prints of this shot and the effect is even more staggering. Could be an ink splotch thing I know but you tell me, can you see it?